Spring is (finally) approaching, and that means it’s time to change those winter tires. But before you put the top down and drive to the ice cream parlor—wishful thinking, we know—take a look at the tires you’re putting back on. Your safety depends on those four rubber donuts, so it’s vital they’re in good shape. Here are some tips for how to look after them—and why you should. Safety first – got tread? The grooves in a tire provide space for water to move out the way and let the rubber meet the road. If there’s not enough tread to clear water effectively you could get a film between tire and road. That’s called hydroplaning and, like driving on ice, it’s very dangerous. So how much tread is enough? The law says grooves on all-season tires should be at least 2/32” (1.5 mm) deep but prudent car owners change their tires at 4/32” (3.0 mm). A tread gauge lets you measure groove depth. Do this monthly and be sure to check several places in case there’s uneven wear. Alternatively, ask us to take a look. Rubber is attacked by ultraviolet rays in sunlight and slowly dries out. That leads to a condition called dry rot. It looks like cracking over the surface and if it gets too bad the tire could fail without warning. There’s no easy way to tell how far dry rot has progressed so the safest approach is replacing tires before they get too old. Some experts say you should do this after six years, others think it’s okay to go a little longer. The problem is that if you bought your car used you probably don’t know how old the tires are. That’s why every tire has a birth date molded into the sidewall. It’s a long combination of letters and numbers, but at the end there are four digits. These tell you when the tire was made. The first pair of numbers are the week number, from 01 to 52, and the second pair are the last two digits of the year. So a tire made in June 2012 will have a date code something like 2412. Many drivers wear out their tires long before age becomes an issue. They are expensive though, so wouldn’t you like to get a few extra miles from them before they reach that 4/32” (3.0 mm) limit? Here are some tips. When a tire is underinflated the sidewall bulges more than it should. That flexing puts additional heat into the tire and accelerates cracking. It also increases drag, which reduces your fuel efficiency. Overinflation is a problem too. Excessive tire pressure shrinks the contact patch, (the area of rubber touching the road,) which cuts grip and extends stopping distances. It also reduces the cushioning effect that tires provide, so you’ll notice a harder ride. To know what the pressure should be, check the sticker just inside the driver’s door. This gives the numbers for front and rear tires, and often additional numbers for when the vehicle is heavily loaded. Always refer to this rather than the maximum pressure molded into the sidewall. 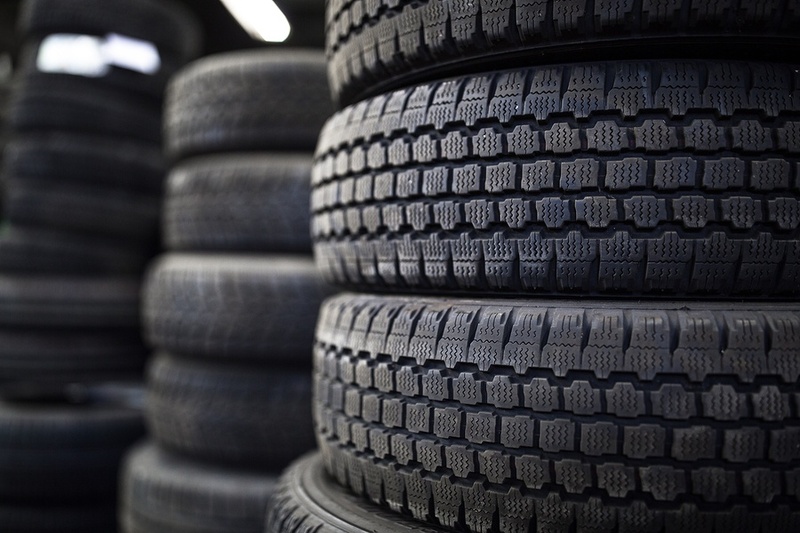 You can help your tires wear evenly by swapping them between corners of your vehicle. A suggested interval is 8,000 km. Refitting all-season tires is a good opportunity, although you probably don’t know where you had each tire last year. If it doesn’t make you feel like too much of a tire nerd, you might consider labeling each one when they next come off. Wheels, especially those at the front, don’t point straight ahead. On most cars, they’re angled inwards and tilted slightly. This determines how the car brakes and steers. A big pothole can put the alignment out, and that makes the tire rub against the road so it wears faster. Swapping over to all-season tires is a great reason to get your alignment checked. Here’s another tip for longer tire life: don’t turn the steering unless the car is actually moving. Modern power steering makes it easy to turn the wheel while you’re stationary, but that scuffs the rubber against the pavement. Creeping while steering saves on wear. Tires go unnoticed much of the time, but that doesn’t mean you can ignore them. They’re expensive to replace, which is a good reason for looking after them. More importantly, they’re critical pieces of safety equipment. 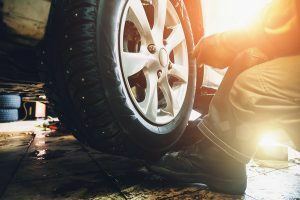 It’s prudent to check them once a month—and swapping over to your all-season tires is a great time to start. So… Need tire work? Come see us at Budds’. We’d be happy to help.